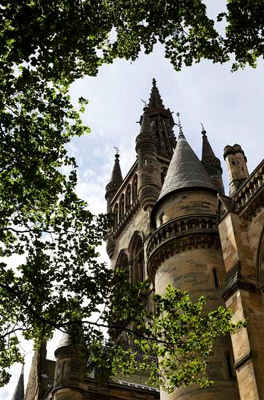 John Blair Cook graduated MA from the University of Glasgow in 1907. John was born in 1881 to Edward, a colliery manager. In 1899 he came to university to study Latin and Greek. To continue his studies he took classes in Education, Maths, Logic, Moral Philosophy and English. On 19th April 1907 John graduated. John fought in the First World War with the 5th Royal Scots Fusiliers, rising to the rank of Lieutenant Colonel. He took part in the entirety of the Gallipoli campaign, staying on the peninsula from landing until withdrawal. He also fought in Egypt and Gaza and was killed in action in Palestine in November 1918. A distinguished soldier he was Mentioned in Despatches and received the Distinguished Service Order, the Military Cross and the French Croix De Guerre.